Wow! 2018 sure got here in a hurry, and lots of good stuff came with it. 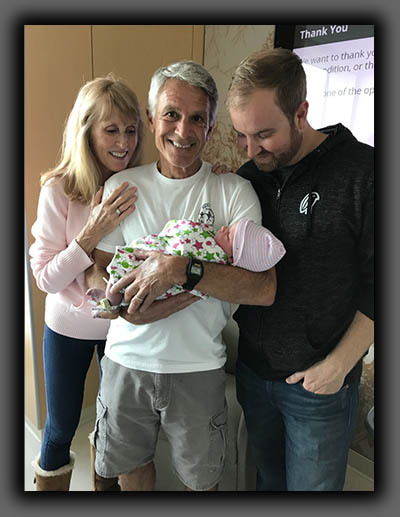 First and foremost, I’m officially a grandfather. 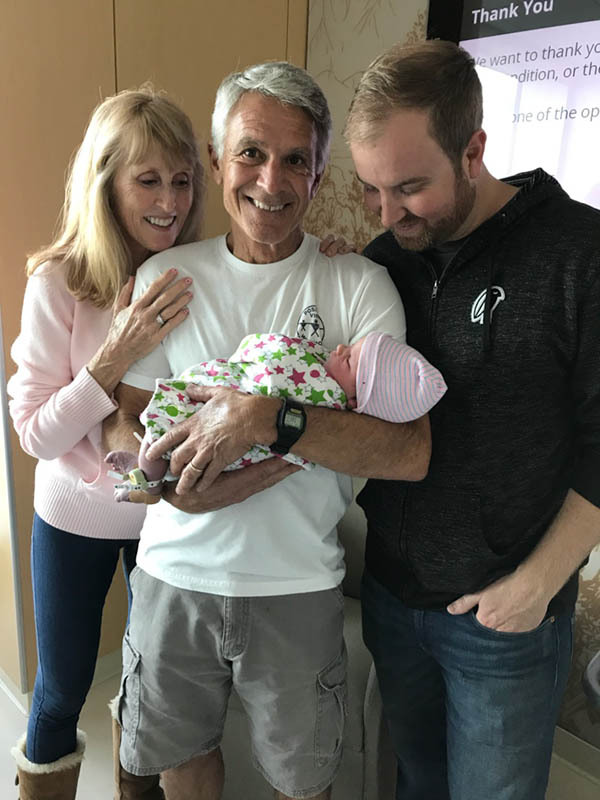 Garrix Gray Prodanovich was born to my son Bryce and his incredible wife, Jenn, on February 13, 2018, and they’re doing splendid, but not sleeping! I’m really looking forward to spending lots of time with the little guy, and figuring out the correct volume for his first board. 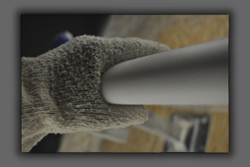 Lots of cool stuff going on in surfboard design. 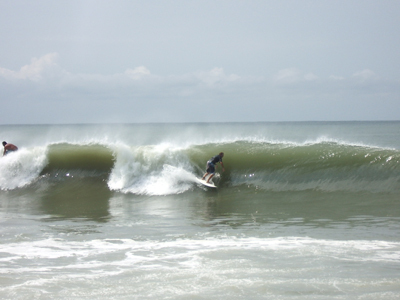 Tri fins, quads, twin fins and single fins; the definition of a “normal” surfboard has changed to include all of the above, with each design contributing to the fun factor in its own, unique way. 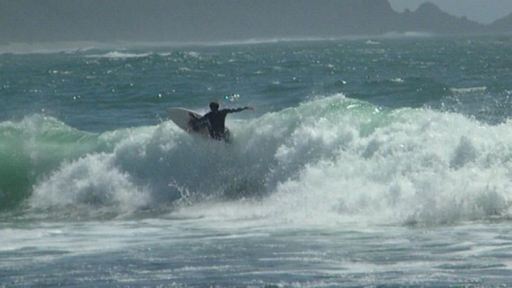 I have rediscovered how much fun it is to ride a 6’6” single fin egg in small surf, rather than a longboard. I’ve also reacquainted myself with the combination of two fins, two wings, four channels, and a swallowtail, a design that’s not necessarily new, but the way these different design elements are put together in today’s design world, makes for a very exciting board to ride, and no more “twin spin”. 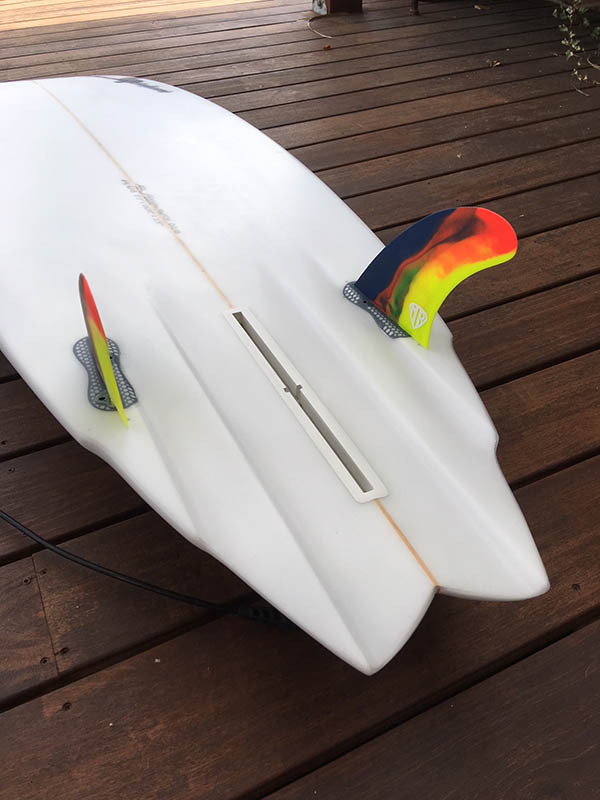 This newer approach to the twin fin design allows a surfer to ride a longer and higher volume surfboard, with every bit as much maneuverability as a much shorter tri fin, simply because there’s no rear fin to drag around. Food for thought! 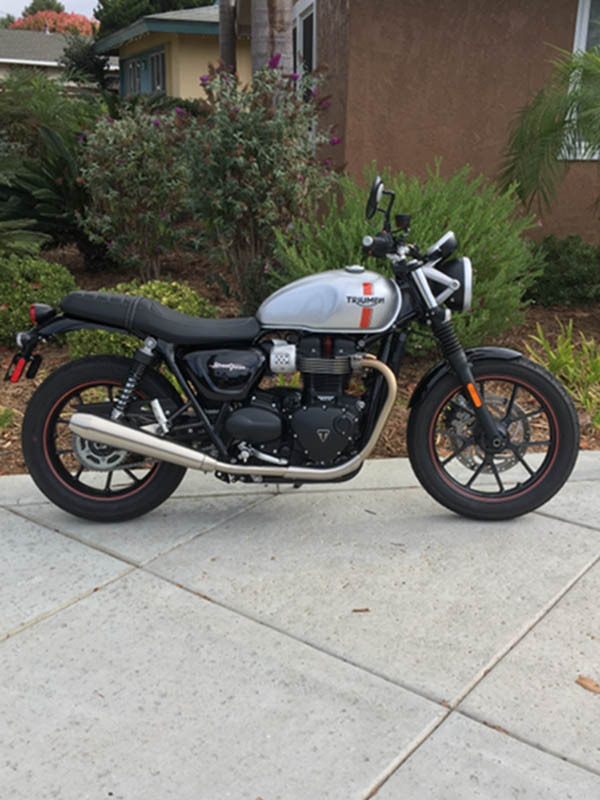 Oh yeah, I got a new Triumph. 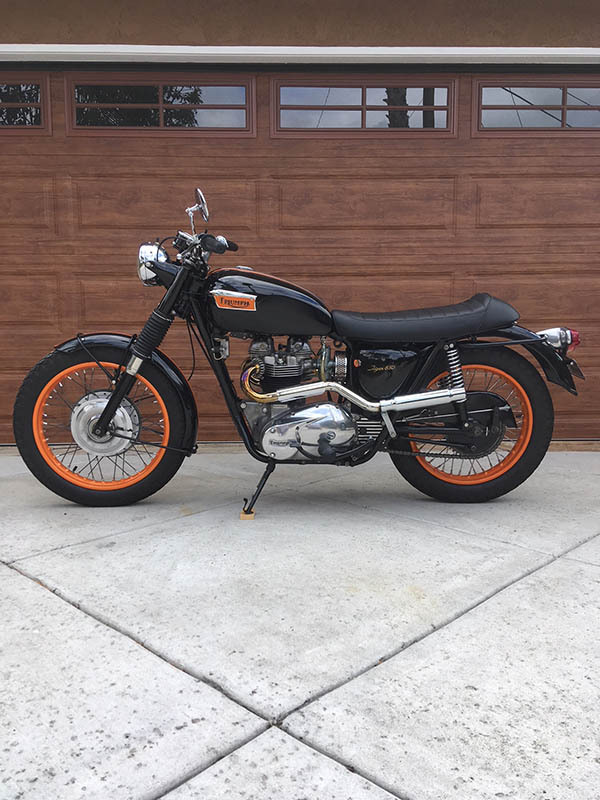 No more 50 year old motorcycles for me! 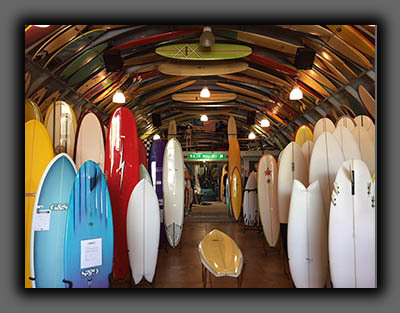 Bikram yoga, Pilates, skiing, and of course surfing, are still a big part of my life, as is shaping at Bird’s Surf Shed, so come on in and check out the best surfshop in the world...IMHO! Be sure to stop by the shaping room and say hi. After looking at my website today, I realized that it’s been almost two years since I’ve added any content to my home page. It’s not like I haven’t been busy designing and shaping surfboards, and I have added a few new shapes to my catalogue, but I think I’m finding it easier and better to update through my Instagram page, which is accessible from my home page. 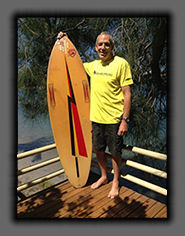 I don’t use Facebook, but I am on LinkedIn, and available via email or phone from my RP website, to answer any surfboard questions you might have…such as the differences between flat bottoms, single concaves, triple concaves, spiral V bottoms, wings, channels, arc tails, moon tails, swallow tails, roundpin tails, squash tails, bat tails…and the list goes on. 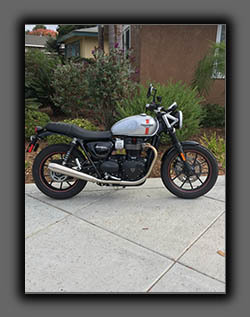 So, feel free to contact me regarding surfboards, surfboard design, surfing, Bikram yoga, skiing, Pilates, or vintage Triumph motorcycles! 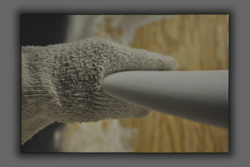 This shaping video was put together for me by Annie and Liza Sullivan, a dynamic sister duo, that have their own production company, Club Sullivan, and specialize in anything web related. Their work can be viewed on Instagram @clubsullivan, and on the web www.clubsullivan.tv, and is top notch! Find them on Facebook as well...of course. Thanks Club Sullivan for doing such a great video for me! It is said that life is like a circle; things and events come around and go around. The same can be said about surfing and, more specifically, the surfboard industry. 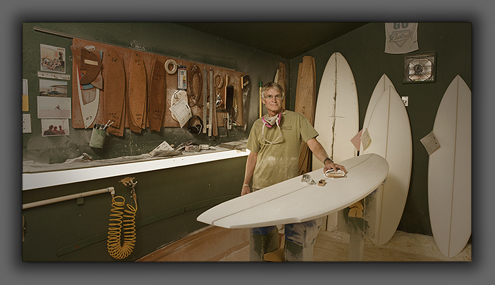 An example of this is the glass shop I have used since 1998, formerly owned by Mark and Nikki Smith and known as Custom Surf and Sail, and now owned by Eric and Debbie Gordon of the Gordon and Smith Surfboard family, and called Custom Surf Glass. What makes this relevant is that I got my start shaping surfboards professionally in 1973 at, wait for it, Gordon and Smith Surfboards, and Debbie and Eric were little kids running around the factory creating all sorts of mischief. These same kids are all grown up now and are glassing my surfboards all these years later! I’ve updated my “Where’s My Board” page with photos of the great crew that are building my boards for you, and I couldn’t be happier with the quality! 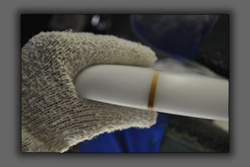 Other things that seem to come around and go around are old surfboards. I was recently contacted via email from my website, by a guy named Richard Green of Australia. 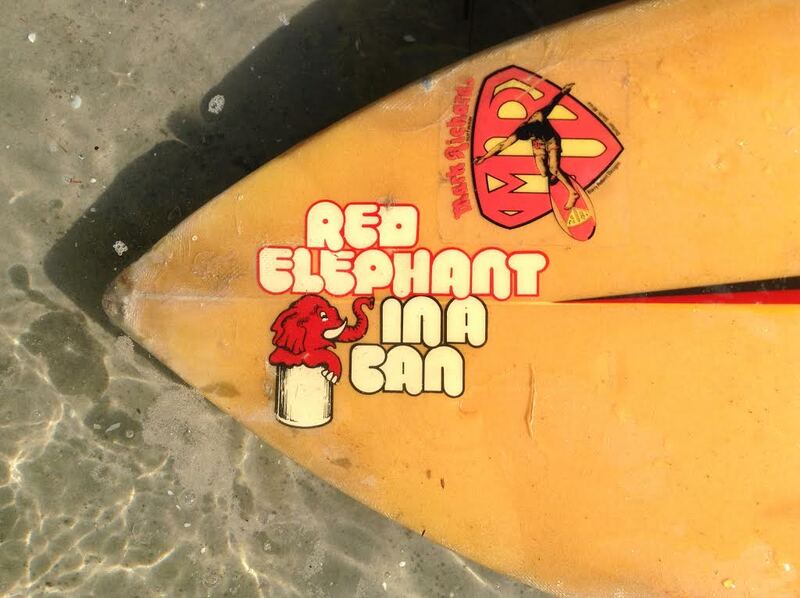 He has had a board for over 30 years and had often wondered about the logo, Red Elephant in a Can, that was on the board along with an assortment of other stickers including G&S. He sent me a photo of the board and I recognized it right away as one of two boards that I took with me on a surf trip to New Zealand and Australia in 1981! I left both boards on the Goldcoast when I left Oz and headed home, and one has managed to find me all these years later. 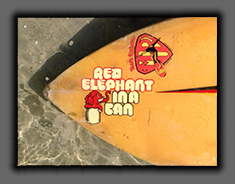 Finally I’ve added 3 new surfboard designs to my “Shapes” page; a new longboard model called The Seeker, a new funboard known as The GAS, and a crazy little alternative shortboard called The Snub. Check ‘em out! I can’t believe that it has been almost a year since the last entry on my website, and it’s not as though I’ve been sitting on my hands; I’m still shaping, surfing, skiing and doing Bikram yoga. I guess I just haven’t had much to permanently convey via my website…until today. 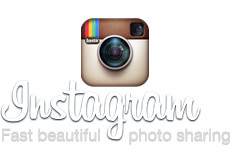 If you take a look over on the right side panel on this page, you’ll see the badge for Instagram. If you click on the icon, it will take you to my RP Surfboards page where you can check out some of my most current shapes, designs and activities. 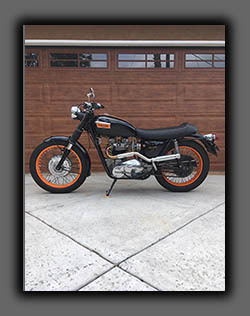 I’m using Instagram to keep my friends and customers aware of what I’m doing with my surfboard business and using it minimally as a social page, it’s a lot faster and easier for me to post something new and interesting on Instagram than on my website. 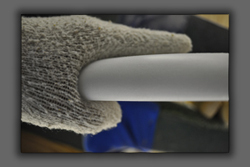 So check it out to stay up to date with RP Surfboards! Shaping has been interesting for me lately, the fatter, high volume shortboards have definitely secured a spot in most surfer’s quivers and rightfully so, they are so much fun! 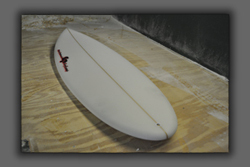 The Pudge has become my best selling model with the Switchback and modified, wider Mach3 close behind. The ESB, longboards, and fun shapes are rounding out the field as surfers ditch their booties and 4/3’s as spring approaches and the water warms up. 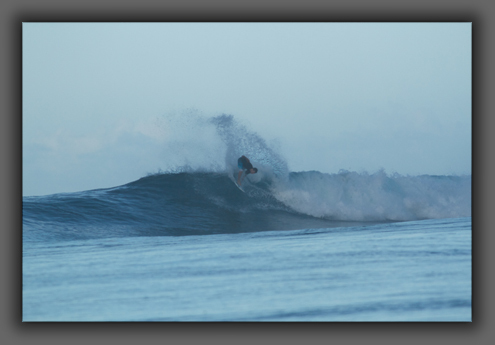 Finally, my shaping venue has changed and I’m at Bird’s Surf Shed and enjoying his shaping room very much. 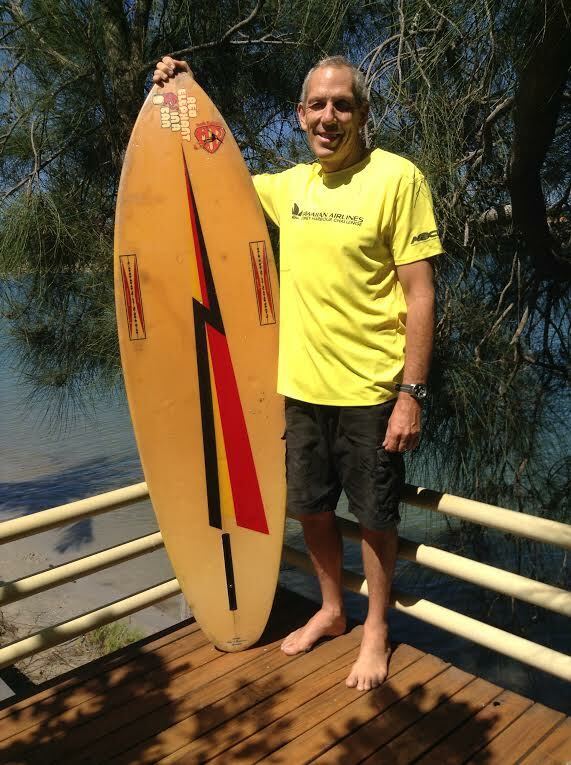 Bird has been generous by allowing me to use not only his room, but also to take advantage of the incredible surf ambience and surfboard history that unfolds everywhere you look in the Shed. 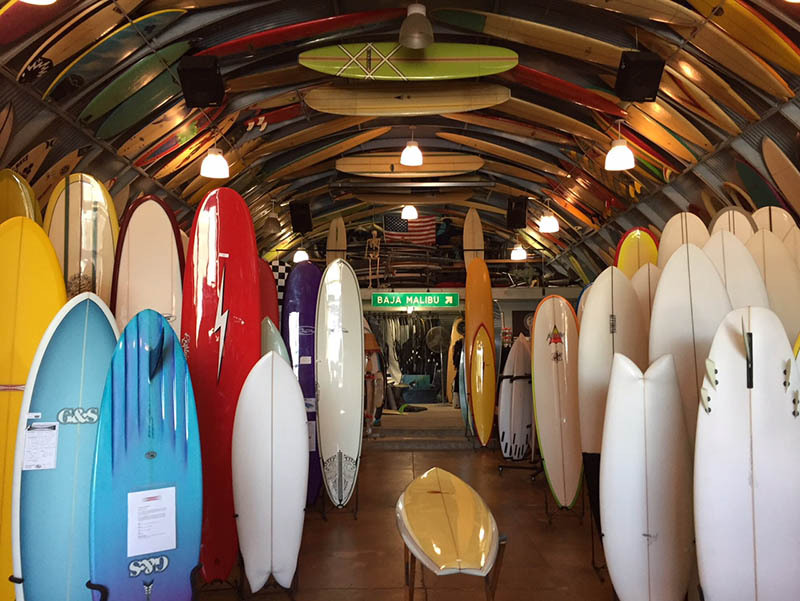 Next time you’re in the area stop by and say hi, I’m sure I’ll be there covered in foam dust and Bird will have a few more interesting sticks added to his collection of over 1200 surfboards! This photo was taken by world class photographer John Durant showing me in my natural habitat, and appears in the current issue of The Surfer’s Journal, volume 21, number 1. 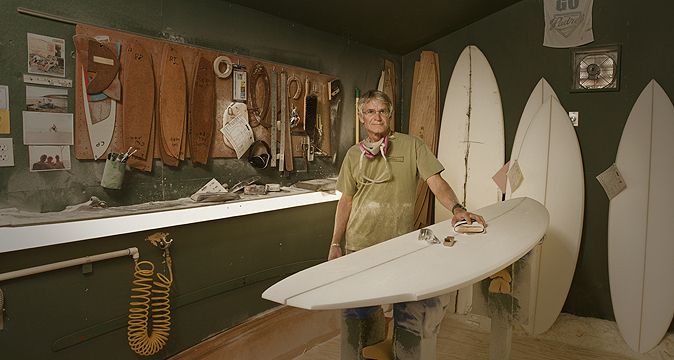 I am fortunate and flattered to be included in the San Diego shapers feature alongside Skip, Hoy and the other great shapers from my area, that have been plying their craft quietly and with tremendous pride for many years and thousands of boards. I have been surfing for about fifty years and designing and shaping surfboards for over forty of those years and even though I’ve built some really fun boards during that time, none of them have as great a fun factor as my Pudge design. I have built the Pudge ranging in length from 5’4” to 6’3” and they all work extremely well in a wide variety of conditions as either a tri fin or quad. The board is ridden short, thick, and wide with a very full plan line. 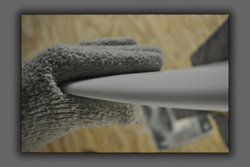 They paddle well, catch waves easily, have great down the line speed and are very maneuverable. Due to their relatively short length and uniformly distributed volume, the board is very easy to duck dive which is a divine characteristic when riding bigger surf, adding to the board’s versatility. 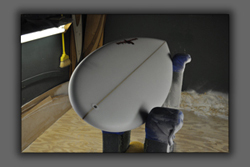 As a follow up to my February, 2011 blog, I thought I would post some design photos of the Pudge to help you get an idea of what the board is about, along with some shots of the board in action, and a few quotes from happy surfers that call the Pudge their friend. “The Pudge carries a lot of speed on the take off and through slower sections and the shorter board allows for really tight pocket turns. 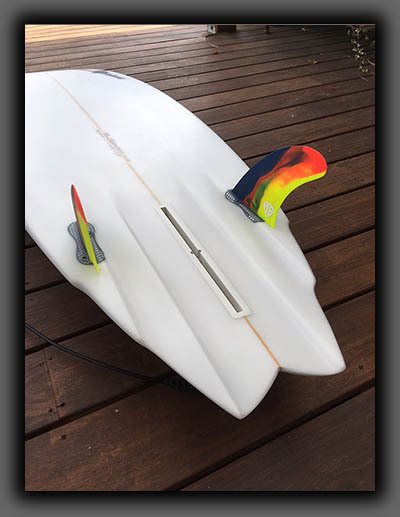 It’s a great board for extending floaters; it holds its speed on top of the lip and projects the floater considerably longer than a standard short board”.